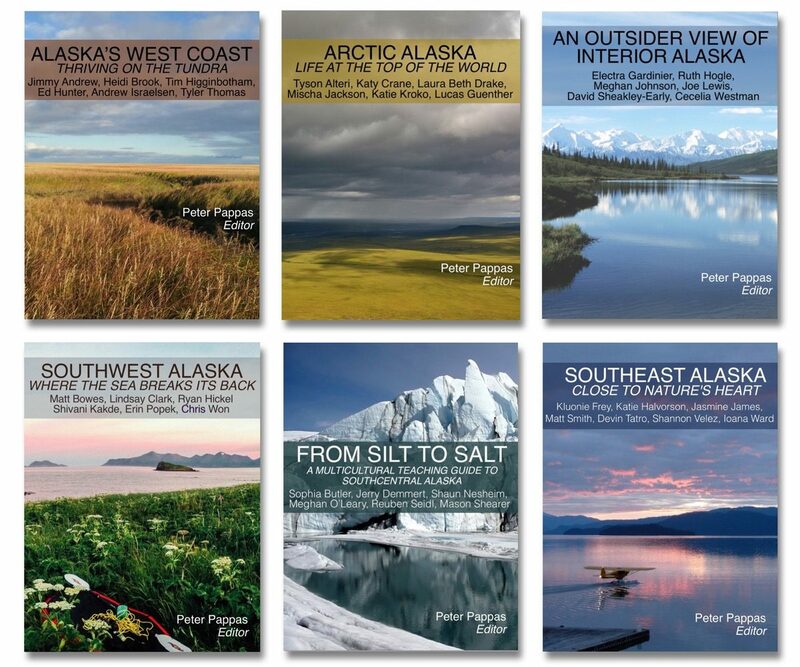 These books were the culmination of collaborative research with assistance from the Alaska State Library, Archives and Museum, as well as the Sealaska Heritage Institute Archives. The project was also supported by the Preparing Indigenous Teachers and Administrators for Alaska Schools grant (PITAAS). The resources for teaching arose from the study of place-based curriculum and culturally responsive teaching in an Alaskan context. It is our hope that these resources wil find their way to classrooms across the state. Please feel free to forward this message. Click here to find out more about our project-based approach to designing our own histories of Alaska. Read student reflections about what this assignment taught them about project-based learning. Don't have a Apple device? Download our books as static PDF files.